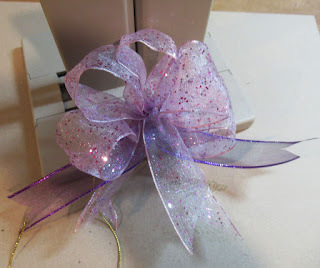 Hi everyone, I'm on the Bowdabra blog with wedding décor this week. 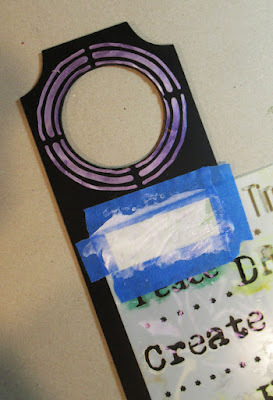 Place a stencil on a black door hanger. 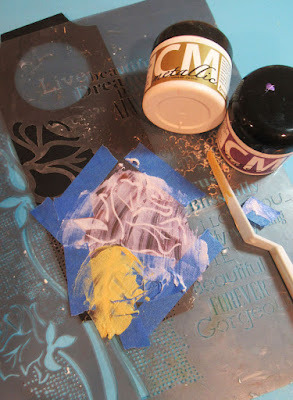 If you don’t have a black one, consider painting one with black gesso. Imagine’s Creative Medium works amazingly well on dark colors. 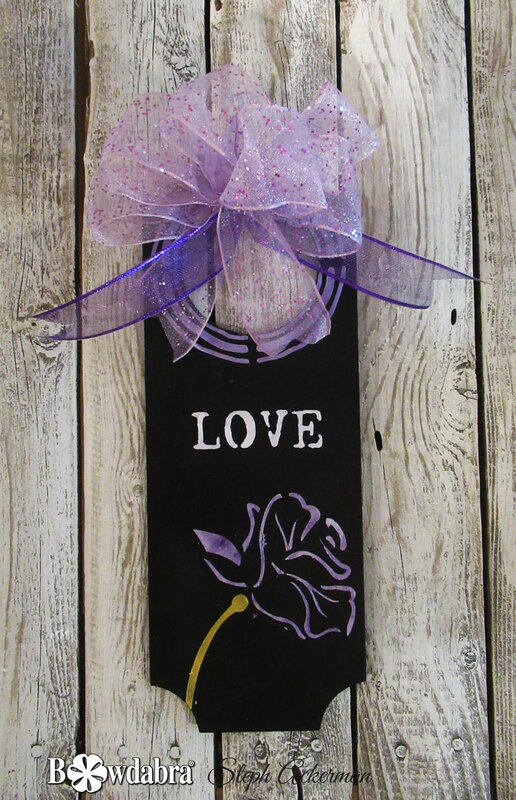 Use Iridescent Purple on the rose and Metallic Gold on the flower stem. 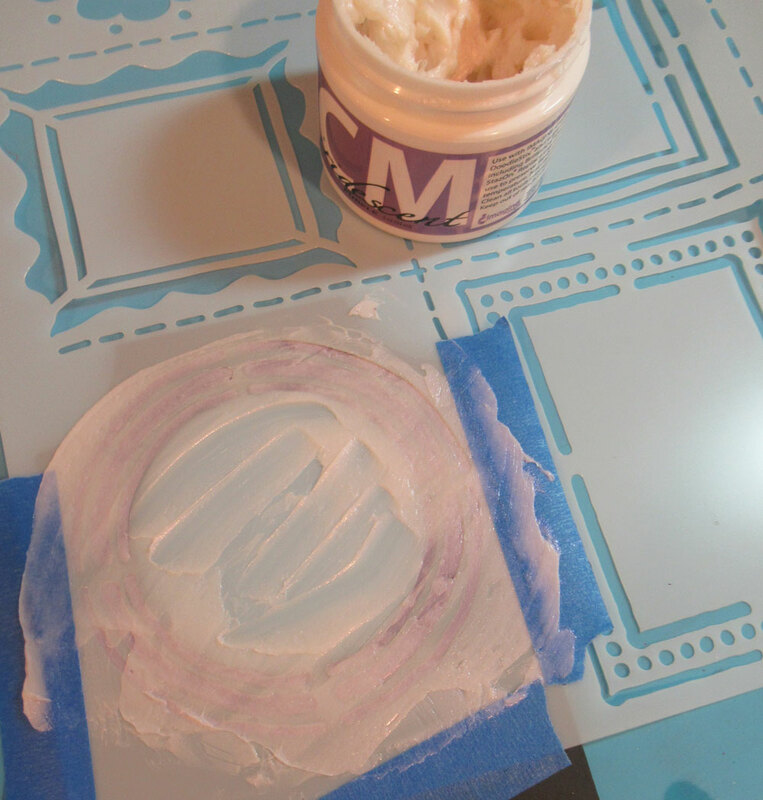 Remove the Prima stencil and allow to dry. 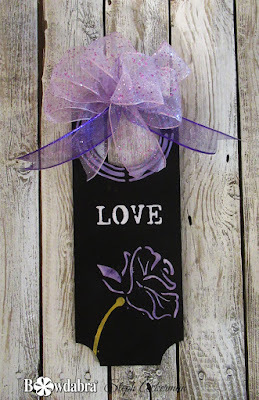 Using a stencil from The Crafter's Workshop, use Creative Medium Iridescent Purple around the opening. Once dry, place another stencil from The Crafter's Workshop on top and tape in place so only LOVE will be covered. Use Iridescent Purple through the stencil. While waiting for the door hanger to dry, create the bow using the Bowdabra. 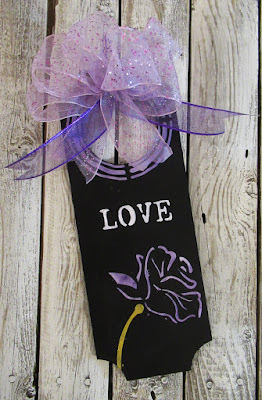 Fluff out the bow and tie to the door hanger. 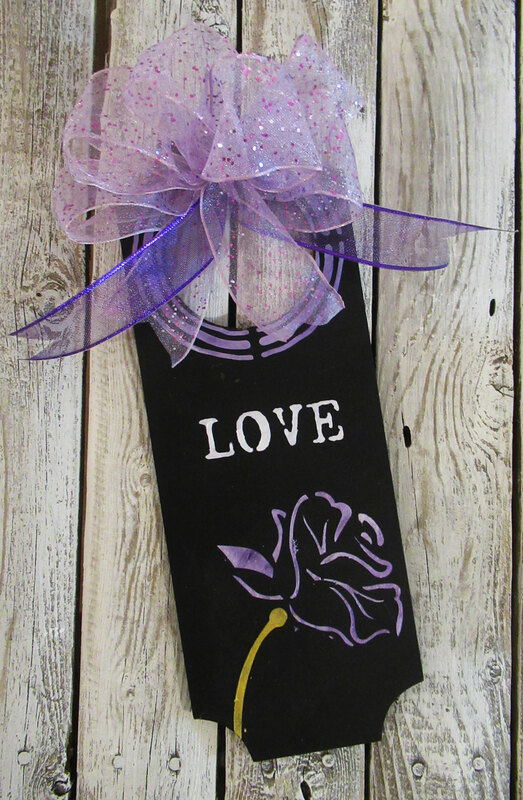 This may be a door hanger, but consider using it as favors for the guests, or perhaps using it with the guest's table numbers.